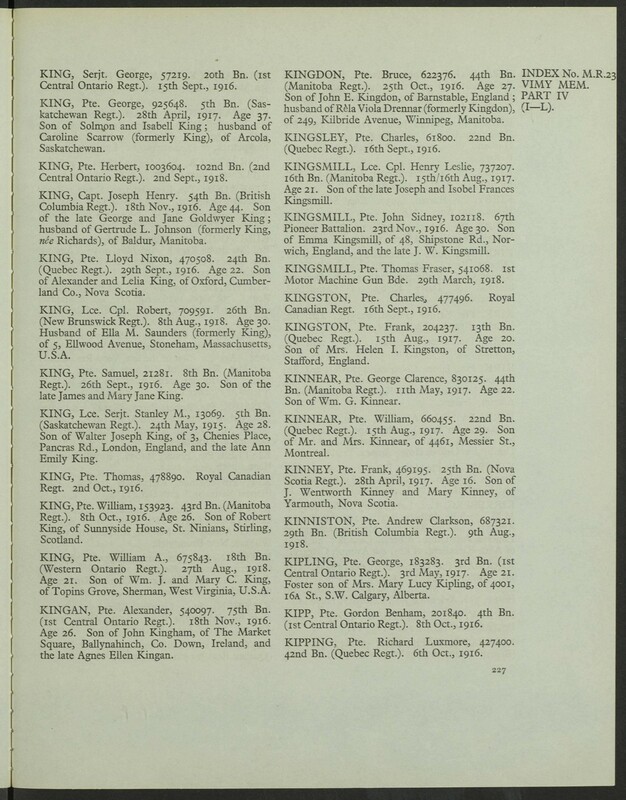 Source: During search of Private Martin King, reg. no. 745111 C.O.D.R. 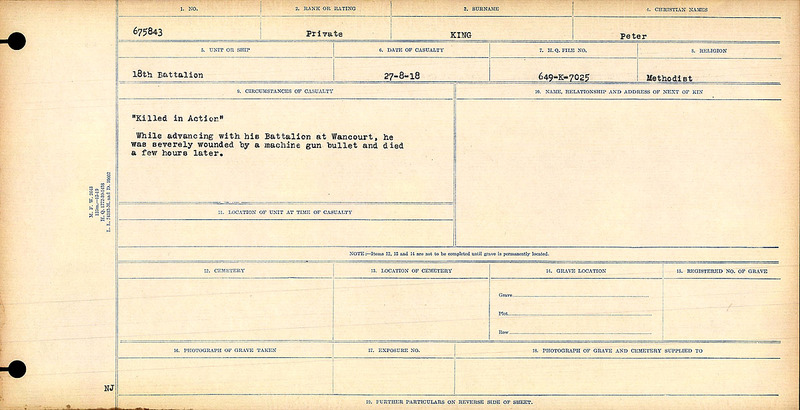 found this soldier’s Circumstances of Death Register at LAC. This soldier was an American and attested under forename Peter. “Killed in Action.” While advancing with his Battalion at Wancourt, he was severely wounded by a machine gun bullet and died few hours later.